The Weimaraner’s “gray ghost” image brings to mind a solid, sleek, gray coat — a hallmark of the breed. Given that the color is so distinctive, it’s actually quite remarkable just how many coat variations there are! Most of the coat variations are accepted, others are not; but all are considered “normal” for the breed. Blue Weimaraners are just like the Grays except the coat is a diluted black instead of a diluted chocolate. The coat appears charcoal gray in color, and like the gray Weims, they can vary from a lighter to darker blue. The difference between gray and blue in Weims is a difference in tone, not in the darkness of the color. Blues are basically the black sheep of the Weim world. They are half-accepted in the US where they are AKC registerable but are not showable. This means you’d be excused from the show ring if you tried to show your Blue, but they can (and do) compete in field events, agility, NAVHDA, etc. Because Blues were once fully accepted in the US, they are generally considered an American variety. And since they were accepted and bred fairly early in the breed’s development, one of the dirty little secrets in our breed is that 99% of Weims today have a blue Weimaraner behind them — verifiable at WeimaranerPedigrees.com. There is far less acceptance for Blues in other countries, where they are completely unrecognized and rarely seen. However, with the recent ease of importing dogs, Blues have been making their way over the pond and are being bred outside the kennel clubs. We’ve got the opposite situation with longhaired (LH) Weimaraners where they are accepted everywhere except in the US where it is a disqualifying fault, meaning just like the Blues, they are not showable. Genetically, the longhair gene is recessive and the blue gene is dominant. Basically it means that LHs can “pop up” from two shorthaired Weims, but you can never have a Blue from two Grays. The ideal LH coat should lay flat and smooth, and it usually has an undercoat. The tail is plumed and undocked or only 1-2 vertebrae are removed. There is feathering on the legs and belly, but they should not be too hairy or have a coat that is too soft. Well of course if there are Blues and there are Longhairs, breeders came up with Longhaired Blues. I have never heard of them anywhere outside of North America, and like Blues and Longhairs they compete in field events, agility and NAVHDA, but aren’t shown. These are also called tan points and basically look just like the markings that Doberman’s have. Dobe markings can be very faint so they can be difficult to identify in Weimaraners if the markings are light. Blue Weimaraners can also have tan points. This photo shows very distinct markings. Just to confuse matters, Doberman’s come in a gray color as well, except they call the gray color isabella or fawn. Dobes and Weims share history, with Weims having been used in the Doberman’s development. Aaaaand, blue Weimaraners are suspected to have come from black or blue Dobermans! Confused yet? Can you tell what breeds are pictured below? Okay, so what would happen if you bred a shorthaired Weim to a Longhaired Weim? The answer isn’t in-between coats, you’ll usually get shorthairs. Of course there always seem to be exceptions to the rule, and it turns out in rare instances you do get in-between coats, and they are called stockhaars. Go to the full article on this coat type. A small white mark on the chest is allowed by the standard, and personally I think is pretty cute, but it’s not unusual to see larger blazes in certain lines. White is not allowed anywhere else, however, white behind the pasterns (below the wrist and above the foot) is so common, it is accepted. White markings have been around since the beginning of the breed, and in fact mentioned in the first German standard as common. The photo below shows a blue Weimaraner with a white muzzle due to aging, a typical gray Weimaraner, and a dark gray Weimaraner with a large (out of standard) white blaze on her neck and chest. Weird things happen when it comes to genetics. If you’ve been in Weimaraners long enough at some point you will hear about Weims that look like German Shorthaired Pointers. These are called piebalds and are discussed here. Surely the gray color was deliberately cultivated and desired when creating the Weimaraner, and kennel clubs certainly have every right to restrict certain characteristics from being allowed in the standard. Despite the fact that most of these anomalies are recognized as normal doesn’t mean that they are necessarily accepted. And just because they aren’t accepted in the standard doesn’t mean they are wrong, nor does it mean that Weims that have any of these anomalies aren’t Weims — Weims come in different colors and coat types! Photos courtesy of Mara Wildfleur, Amy Boring (aboringphoto.com) Jason Haffner and Dave Bierer (rd1oudoors.com). I never gave it a thought when I picked up a blue Weim that some would have an issue with his color. His sibling is the lighter grey and from the same litter. I have two other older weims I have adopted and and nobody seems to have an issue with them. Oh well. Thanks for your article, and website. I attempted to track the http://weimaranerpedigrees.com/, but found myself really confused in trying to track the blue weims. Cheers, these are Great dogs. 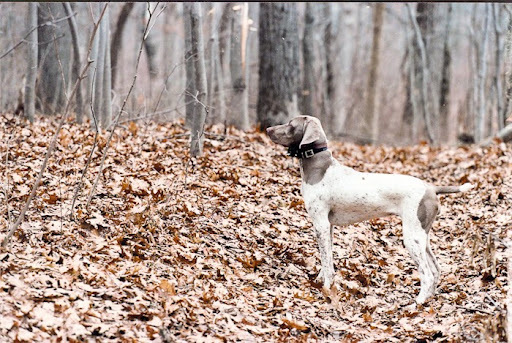 The weimaranerpedigrees.com site doesn’t make a notation on color because they cannot get reliable information on it, which would make tracking that information difficult. I love the blues too and have a couple myself! am surprised that you have found people having an issue with your Blue….I LOVE the Blue the best, and in fact my search was for the Blue, and she was very hard to come by, since the Blues are seldom seen on the east coast of the U.S, at least that is what I was told…In fact, everywhere I take her I get a lot of compliments on her color. Enjoy your Blue. My dad gave us a blue Weimaraner short haired puppy when I was around nine years old. His growth was stunted, and I can’t remember what explanation my dad gave us for that…..not sure if he was a pure bred either. He grew to be just slightly larger than a Beagle. He was so loving to me, and my brother. He actually let us pose him on a tricycle once, and took a picture of him in my grandfathers backyard in Duluth. We would sometimes let him roam around the neighborhood, because he would always come home. One night he didn’t, and we were worried. The second night my dad, and I went out to look for him. The third night there was scratching at the back door. It was Blue. You could tell he was in pain, and may have been hit by a car. My parents tried to get Blue in to see a vet , but at 10 pm in a smaller town they wouldn’t see him until the next morning. I laid down next to him, by his bed on the kitchen floor, trying to comfort him, and eventually fell asleep. My mom got up at 6 am like she always did, and Blue had already passed away. It was one of the saddest days for our family. I believe there is a valid reason for leash laws.